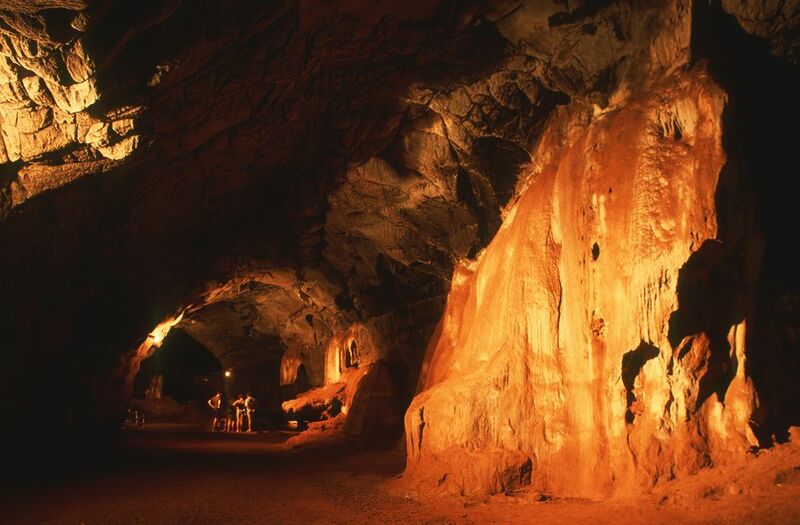 The main highlight of a visit to the Sudwala Caves is the Ampitheatre, an incredible chamber at the heart of the complex that measures 70 meters in diameter and ascends 37 meters towards a beautiful domed ceiling. Other notable formations include Samson’s Pillar, the Screaming Monster and the Rocket, the oldest of which has been formally dated at 200 million years old. As you wander through the caves, keep an eye out for the fossils of a primitive plant genus known as Collenia. The ceilings are also home to a colony of over 800 insectivorous horseshoe bats. While waiting for your tour to begin, make sure to check out the prehistoric artifacts displayed at the entrance. Afterwards, continue your adventure with a visit to the on-site Fish Spa, or a tour of the Sudwala Dinosaur Park. This popular attraction is located 100 meters away and features life-sized models of prehistoric animals and dinosaurs set within a beautiful tropical garden. You can also spot monkeys and exotic birds living freely within the park, while a display of live Nile crocodiles celebrates the reptiles’ ancient ancestry. The Crystal Tour is priced at R450 per person, and requires an advance deposit of 50%. If you want to take the tour but won’t be in the area on the first Saturday of the month, it’s possible to arrange a separate tour at a time of your choosing for groups of five or more.